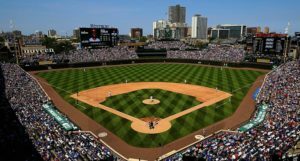 Ever since Theo Epstein’s end-of-season press conference – by which I mean, after that press conference – the Cubs front office has certainly been consistent in its messaging: sure, we’re going to do some things to improve this offseason, but it won’t necessarily be by spending a ton more money, and we are looking to get our current players back on track. There’s much more in that NBC piece from Hoyer and Theo Epstein about a range of topics, so it’s worth a read. So, again, to be very clear: the front office is not building up some public expectation that they feel they need an external injection of offense, and they will absolutely go out to source that offense in free agency or trade. This is the kind of stuff every front office everywhere would say about their own players, because why wouldn’t you want to express public confidence in your players, regardless of whatever maneuvering you were trying behind the scenes? Who knows what the budget situation really is, given the complicated TV situation and the current level of spending? 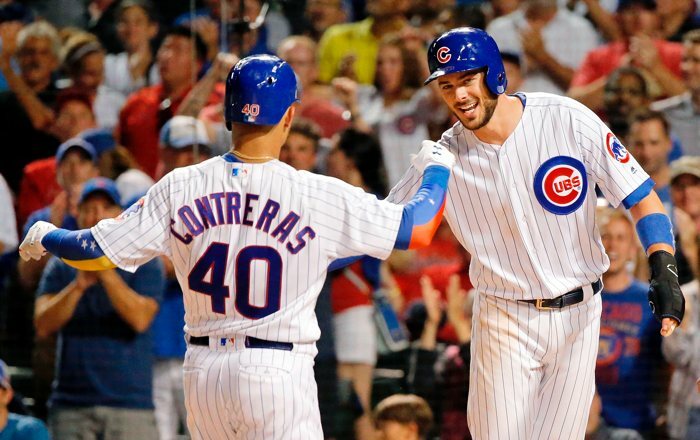 It’s not as if the Cubs don’t legitimately have a large number of great hitters who *could* produce a potent lineup in 2019 with no roster changes at all. I’m sure they actually are trying to make improvements behind the scenes. Again, there’s not a lot of value in saying publicly that you’re definitely going to sign a big bat or make an impact trade, not only because it doesn’t help you in those markets, but also because it may not ultimately happen. And who wants to send the message to their players that they aren’t enough *AND* we weren’t able to get a bat to help you? Me? Yeah, I still think the Cubs need to add an impact bat, and I still think it would be a big mistake not to take a serious swing at landing a 26-year-old generational talent like Bryce Harper or Manny Machado. Statistically, of course, you’re not likely to land one of those guys even if you want them, but there are other useful bats out there in free agency and trade, and I don’t believe solely resting on internal bounce-backs is the right way to take advantage of this competitive window. That said, of course I can see a plausible future where, despite not making an impact addition, the Cubs have a great offense in 2019. 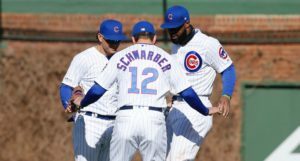 Heck, it wouldn’t even take much more than a healthy Kris Bryant, a standard Anthony Rizzo, a bounce-back from Willson Contreras, and another step forward from Kyle Schwarber. 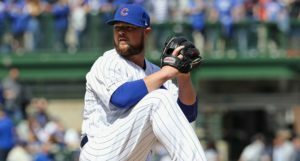 But you also have to consider that Ben Zobrist probably won’t hit like he’s 30 again, Javy Baez may not be an MVP candidate again, Kris Bryant may not be 100%, and some of the second half fall-offs for the young guys may have involved the league exposing issues from which those players will not recover. It’s unreasonable to imagine the plausible good without also acknowledging the plausible bad. Recognizing internal improvements could come and working to help achieve them? Great. Good. Fine. Relying upon that as your offseason strategy for improving the offense? Nah. Nah.